Dan Tereshko was medically retired from Active Duty and was immediately looking for the best way to “pay it forward” to those that also serve their country each and every day. Owning his own business was one way Dan could not only support his family, but also give back to other Veterans and his community. While browsing the internet for his business ownerships options, Dan found the Veteran Business Owners Initiative; he took a leap of fate and decided to check it out. Dan was surprised to find that the VBOI’s vision and culture aligned with his own. His ideas on how to “pay it forward” started to materialize after his first Business Gym class when he realized he could build a business while helping to employ veterans. 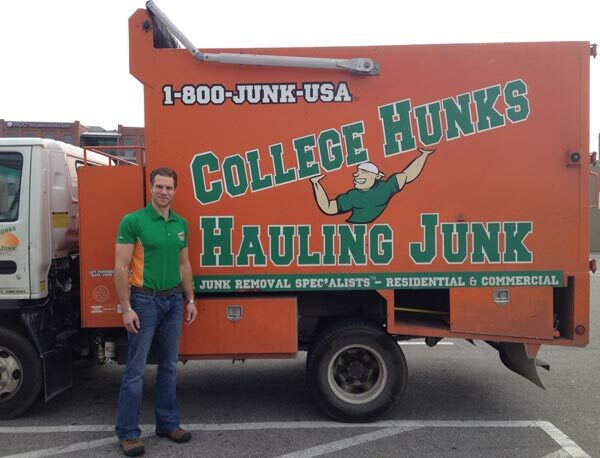 Dan found the company College Hunks Hauling Junk / College Hunks Moving and decided to pursue the franchise venture. The company specializes in junk removal and moving services; as a franchisee, Dan is responsible for the South Boston region. One of the most appealing aspects of the franchise was that he could give Veterans a chance to learn about entrepreneurship and how to run a successful business. By giving his employees a vital role in the company, they can view each truck as their own little business. They also have an active role in developing sales, marketing materials, networking and providing feedback on how to maximize the revenue on their particular truck. Their inputs and efforts are recorded and tracked and they will be rewarded for their successes. Through the VBOI Dan got involved with the VA’s Compensated Work Therapy Program (CWT); a program that helps to give Veterans meaningful employment, and relevant real world work skills, with the ultimate goal that they will graduate from CWT to a full time employee outside of the VA.